With over 60 billion messages a day being processed by Messenger and WhatsApp, it’s a wonder we are happy to give away our most intimate secrets, entrusting these companies, and others, with personal information. They may have end-to-end encryption to ensure that no one is embedded in your chat, but have you thought about what could happen if the messaging from the other end of your conversation is computerized? It’s not a human but a Chatbot that will store your data in order to be able to perform as required. Although Chatbots can exist on their own, many developers prefer to use Messenger, Kik or Slack as a platform to save time. If we look at Kik and Slack, these message services do not encrypt any messages, which is a particular worry when it comes to security. So, it’s probably not the best time to be discussing personal and private information on them. Then, if we look at Chatbots we have the same scenario as we have absolutely no idea what it is going to do with our data. You certainly should not be sending it your credit card information, as it is not a human that you are messaging, it’s a fully-fledged machine. You should be asking yourself questions when messaging a Chatbot like: Where does my information go? How is it stored? Who can see it? 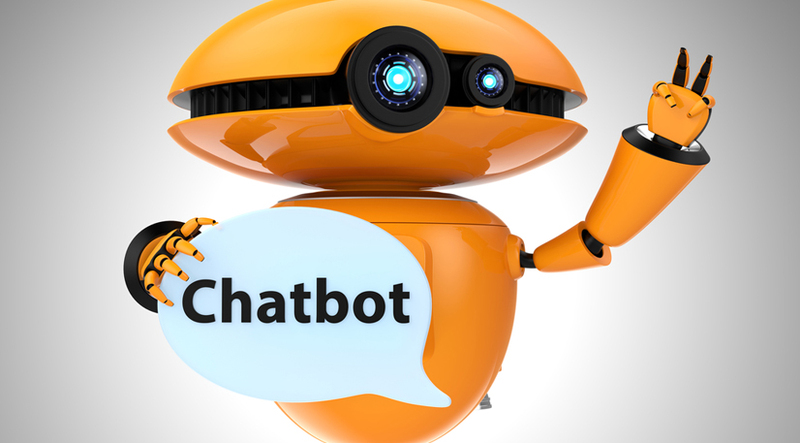 If you think about it, a Chatbot would require human intervention to ensure it is working as it is programmed to do. Does this information reach just one employee, one department? Don’t forget if a bot knows pieces of information about you, a person could ask it a series of questions relating to you, that when put together, could expose vital information such as bank details. Something as innocuous as booking a car with Uber can expose you to a private information breach, if there is a Chatbot in between. They have the ability to analyze data, while also having cloud-based API’s that use intelligent analyses to process user’s responses. So, anything you write has the capacity to be thoroughly analyzed, such as passwords and financial details. Do not dismiss as unlikely, as it is known that teenagers are more than happy to expose themselves to Chatbots, merely as they like having conversations with them. Some Chatbots use sentiments analysis incorporated in their algorithms, so they are able to determine your moods, based on your attitudes to certain products or topics. This can make you an easy target for any marketing company, and is a prime reason why you should have a private proxy to hide your IP address. You should also be aware that as you are chatting on the platform’s server, Google and Facebook are able to listen in. You then only need a hacker to eavesdrop on your conversation with a Chatbot too, to understand how vulnerable you could become. So, in future, when you believe you are merely having some fun with a Chatbot, or providing personal information, just make sure that you are fully aware of the implications of the conversation and the detrimental effects it could well have for you in the future.